New Study: Who are Seattle’s Tipped Workers? The $15-an-hour minimum wage in Seattle has been focused on a debate over tipped workers, who according to our analysis, comprise of less than 10% of workers who earn below $15 an hour. In this policy brief, we shine a spotlight on all tipped workers in Seattle, so that city elected officials can focus on practical solutions for raising the minimum wage, instead of relying on speculation about who tipped workers are and what incomes they earn. To inform our research, we combined an analysis of government data with interviews of workers in various tipped professions. Our analysis demonstrates that the average tipped worker in Seattle is roughly 32 years old, has at least some level of college education, and earns less than $15 an hour – even if you include tips in their hourly earnings. 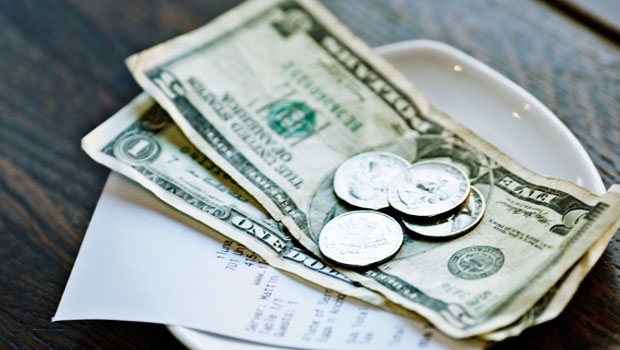 Tipped workers generally earn below $15 an hour, including tips. Although there has been much attention paid to a few high-earning, tipped restaurant workers, this group is not representative of the tipped workforce in general. Tipped employees are more likely to earn low wages: the average annual pay for waiters and waitresses in the City of Seattle is $22,620 per year. Waiters and Waitresses make up 61% of Seattle’s tipped workers. Tipped workers are disproportionately women: 59% of tipped workers are women, even though women comprise of only 46% of Seattle’s workforce. Tip credit encourages wage theft: Nationwide, full-service restaurants were found non-compliant in 84% of Department of Labor Wage and Hour Investigations. Categories: Living Wage Jobs, Sustainable Communities, Uncategorized | Tags: $15, gender, income, low wage workers, minimum wage, restaurants, Seattle, tip credit, tipped workers, total compensation, wage theft, wages, waiters, waitresses, women, workers | Permalink.